Donald C Spencer's parents were Frank Robert Spencer and Edith Clayton. He was an undergraduate at the University of Colorado, receiving a B.A. in 1934, before moving to the Massachusetts Institute of Technology where he studied aeronautical engineering and was awarded a B.S. in 1936. Spencer married Mary J Halley on 25 July 1936; they had two children Maredith and Marianne. After his marriage he went to England to undertake studies for his doctorate at the University of Cambridge. His thesis advisor was J E Littlewood , but he was also greatly influenced at this time by G H Hardy. Spencer worked on analytic number theory and submitted his doctoral dissertation On a Hardy-Littlewood Problem of Diophantine Approximation in 1939. After returning to the United States, Spencer was appointed as an Instructor at Massachusetts Institute of Technology in 1939. He remained there until 1942 working mainly on functions of one complex variable. However he retained his interest in analytic number theory which he had worked on at Cambridge, and he published two important papers in 1942, both joint with R Salem who had been appointed to MIT in 1941. These papers were The influence of gaps on density of integers and On sets of integers which contain no three terms in arithmetical progression. In the first of these they proved that a progression-free sequence of positive integers never has positive density. Although Spencer's interests moved to other areas of mathematics the problems studied in these papers were of fundamental importance in progress by other mathematicians extending over many years. In 1942 Spencer moved to Stanford University where he was appointed as an associate professor. Of course by this time the United States had entered World War II and Spencer went to New York University to work with the Applied Mathematics Group during 1944-45 as part of the war effort. There he was influenced by Courant and Spencer's work took a new direction, applying variational methods to the coefficient problem for univalent functions. In 1946 Spencer was promoted to a full professorship at Stanford and he remained there until 1950 when he accepted the position of associate professor at Princeton University. After his first marriage ended in divorce, Spencer married Natalie Robertson Sanborn on 7 July 1951; they had one son Donald Clayton. Spencer was promoted to full professor at Princeton in 1953, holding this position for ten years. During this period he spent the year 1954-1955 at the Collège de France supported by a Fulbright grant for study and lecturing. In 1963 he left Princeton and returned to Stanford University but, after five years, returned again to Princeton. He was named Eugene Higgins Professor of Mathematics at Princeton in 1971, and then Henry Burchard Fine Professor of Mathematics. He held this latter chair until he retired in 1978 when Princeton made him Henry Burchard Fine Professor of Mathematics, emeritus. Spencer's work with Kodaira was one of the most remarkable mathematical collaborations of the twentieth century: its only parallel is the famous Hardy-Littlewood work. It may be worth contemplating how much Spencer's doctoral work with Littlewood and Hardy was significant here. In order to clarify this mystery, Spencer and I developed the theory of deformations of compact complex manifolds. the process of the development was the most interesting experience in my whole mathematical life. It was similar to an experimental science developed by the interaction experiments (examination of examples) and theory. In this book I have tried to reproduce this interesting experience; however I could not fully convey it. Such an experience may be a passing phenomenon which cannot be reproduced. The contents of this remarkable book have served as notes for a special course in advanced calculus at Princeton University. The book stems from a widespread dissatisfaction with the method of presentation of the subject matter of the traditional course in advanced calculus and succeeds in showing that the traditional subject matter can form an integral part of modern mathematics. For his original and insightful research that has had a profound impact on twentieth-century mathematics, and for his role as an inspiring teacher to generations of American mathematicians. Spencer's contributions to mathematics go far beyond his published papers. He exerted tremendous influence on his collaborators and students. His enthusiasm knew no limit and was contagious. In Princeton he was always surrounded by a group of mathematicians who shared his enthusiasm and collaborated in the research of complex analysis (I was one of them). In the 1950s the theory of complex manifolds was developed extensively in Princeton. The driving force behind this development was in fact Spencer's enthusiasm. In addition to the honours mentioned above we note that Spencer was elected to the National Academy of Sciences in 1961 and to the American Academy of Arts and Sciences in 1967. He was Colloquium Lecturer of the American Mathematical Society at its Summer meeting of 1968. In addition he received the George Norlin Award from the University of Colorado in 1990. Spencer served on the editorial boards of several journals. 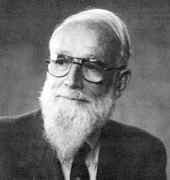 He was a member of Editorial Board of the Transactions of the American Mathematical Society (1950-1955), the Annals of Mathematics (1958-1962), the Proceedings of the National Academy of Sciences (1965-1967), the American Journal of Mathematics (1967-1975), and the Journal of Differential Geometry (1967-1981). In 1978 Spencer retired from Princeton and moved to Durango, Colorado. There he became very active in the conservation and ecology movements and also an avid hiker. he soon made many friends and became well known in the area. The city of Durango designated April 25 as "Don Spencer Day". After his death, a mountain peak outside of Silverton, Colorado was named in his honour.